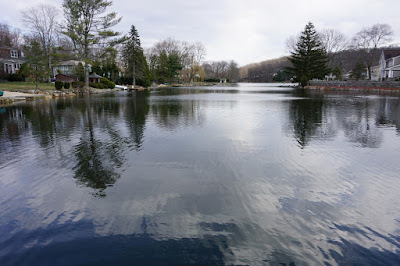 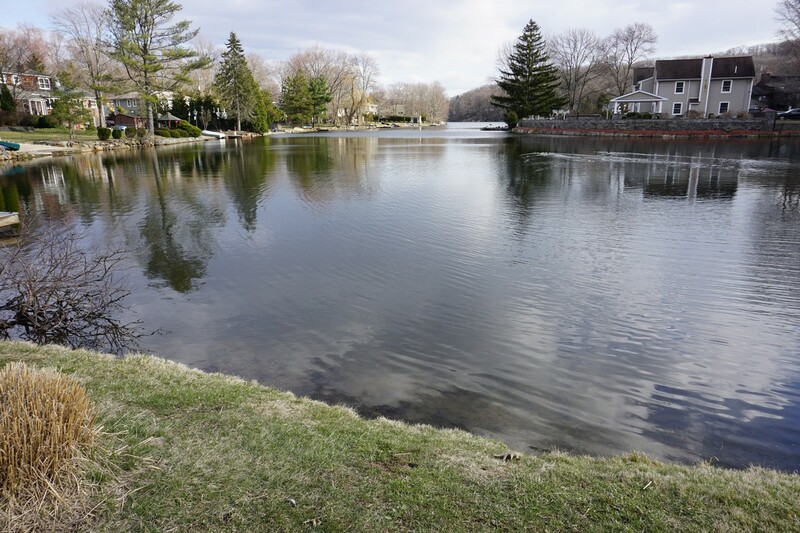 Pine Meadow Lake is one of my favorite lakes in the area. 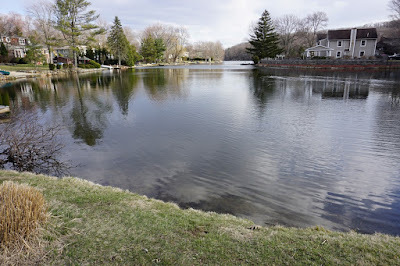 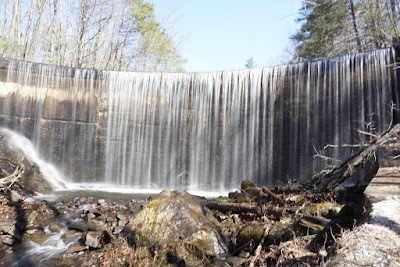 It is away from any road or parking area, and is very scenic and tranquil. 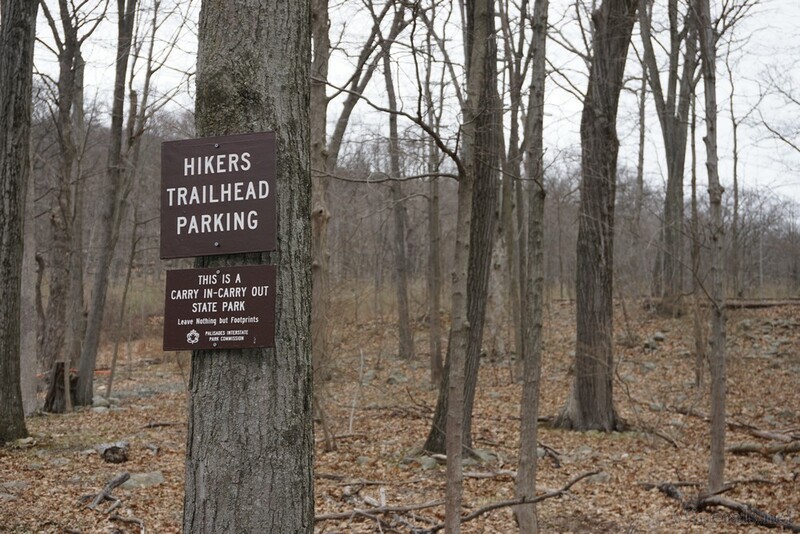 We parked at the corner of Wilder Road and Route 202, where there is a small pull-off area at the corner. 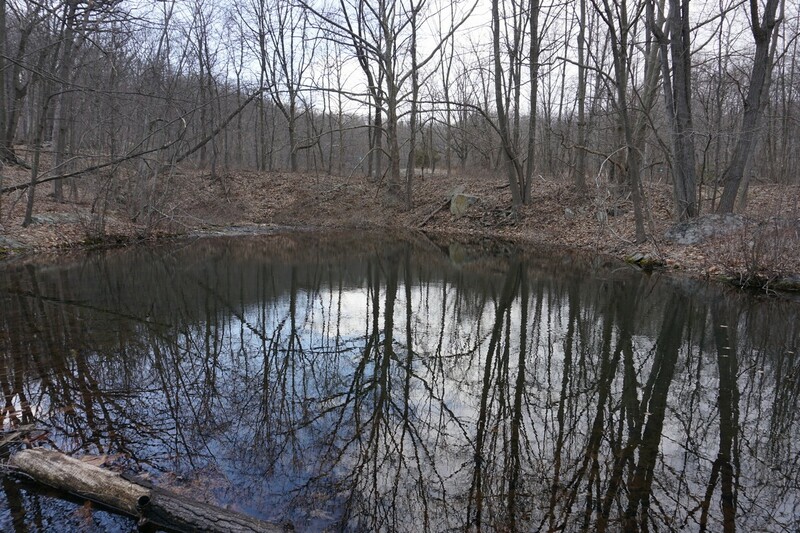 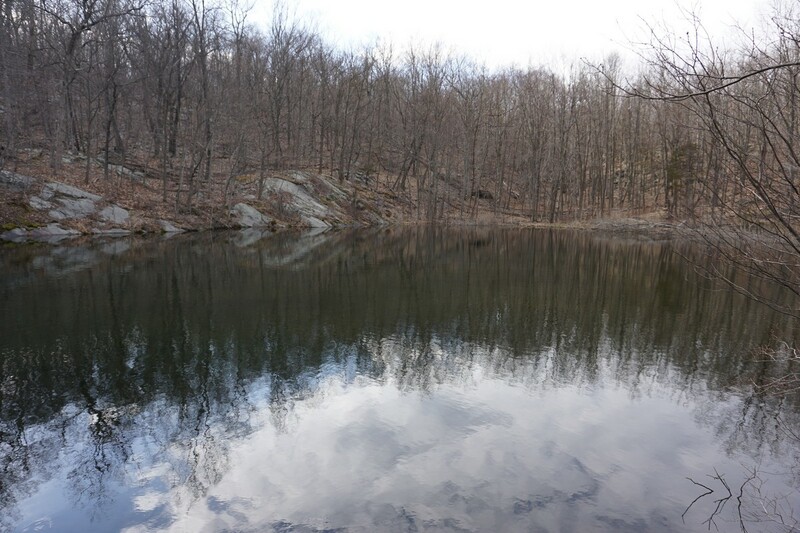 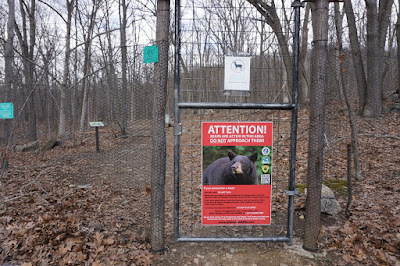 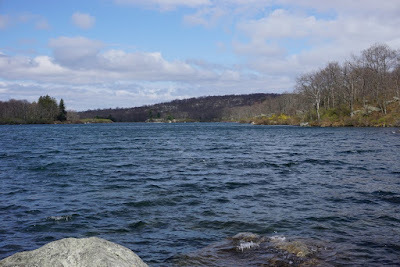 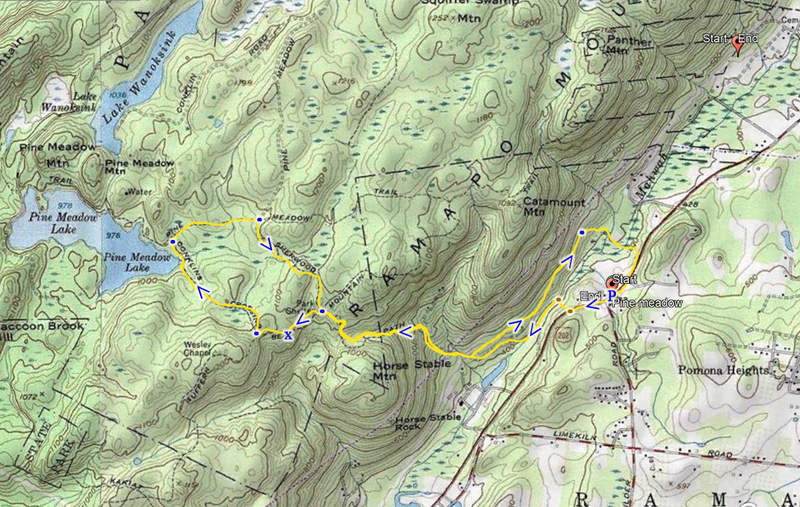 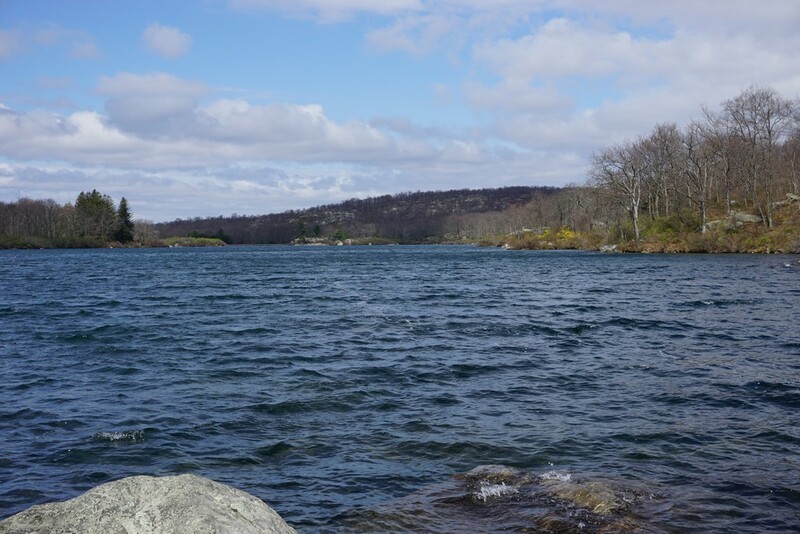 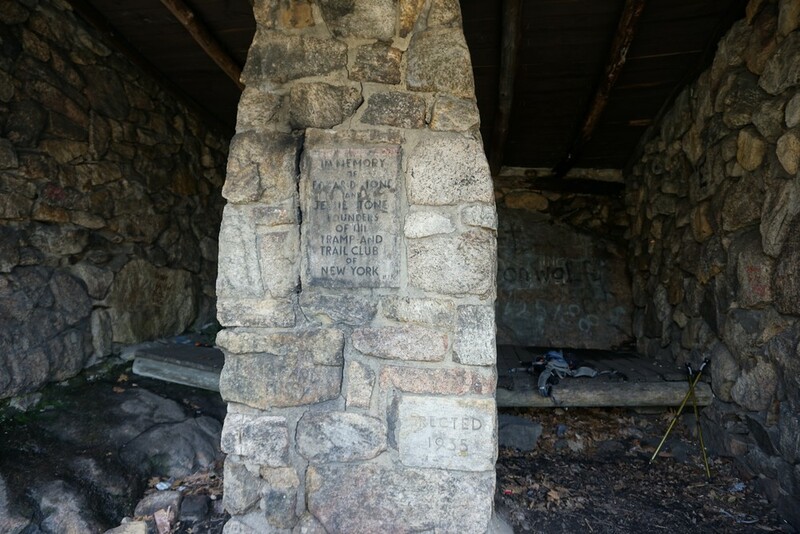 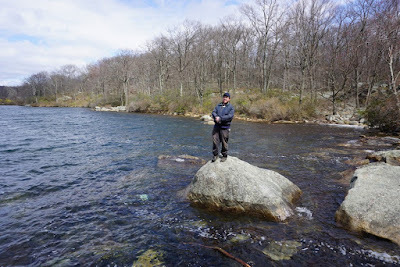 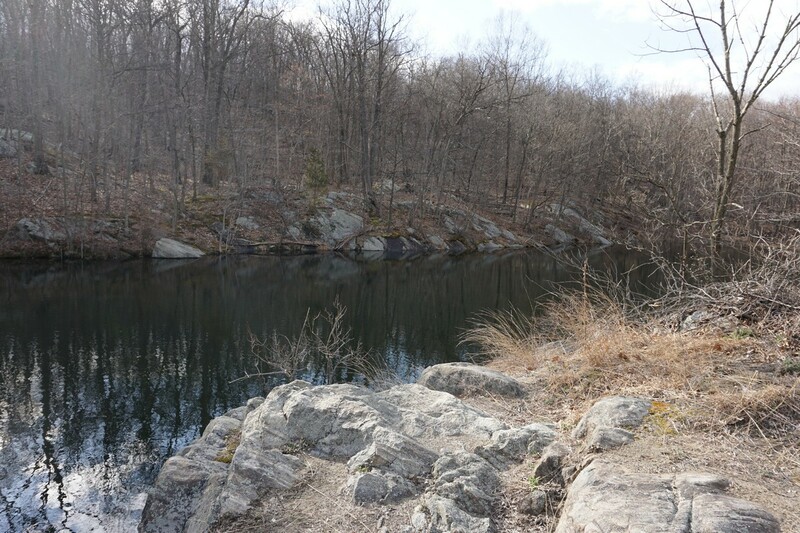 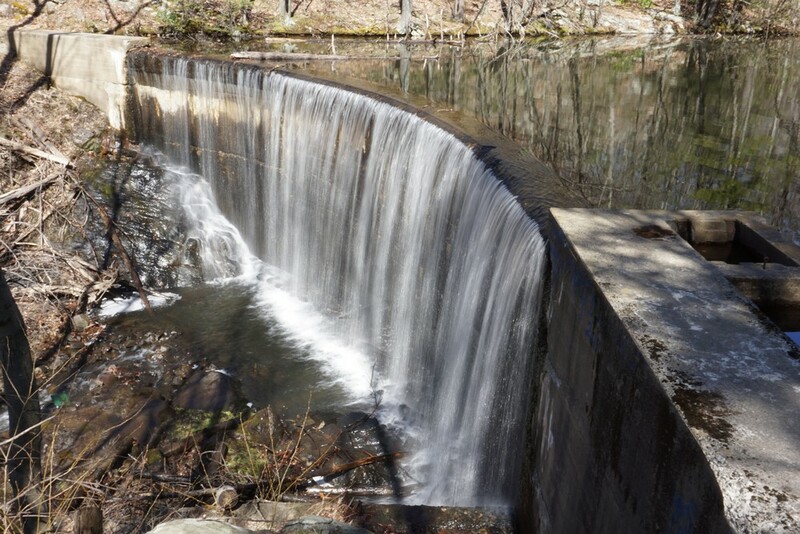 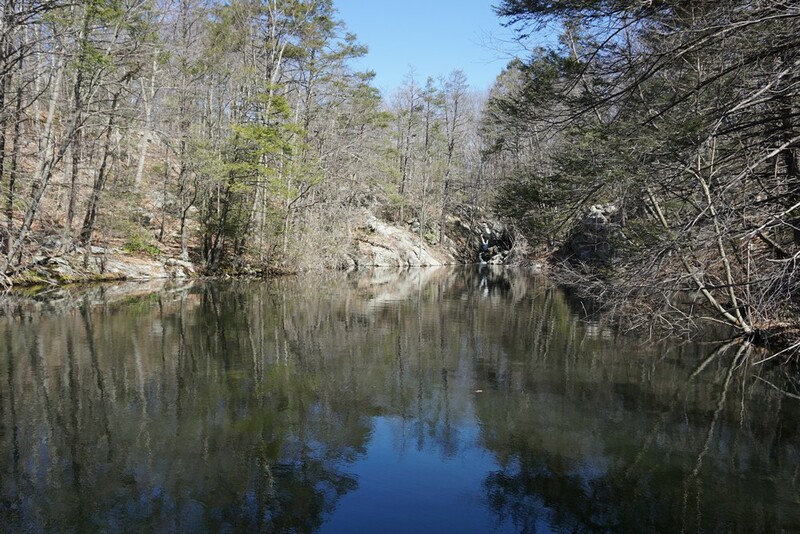 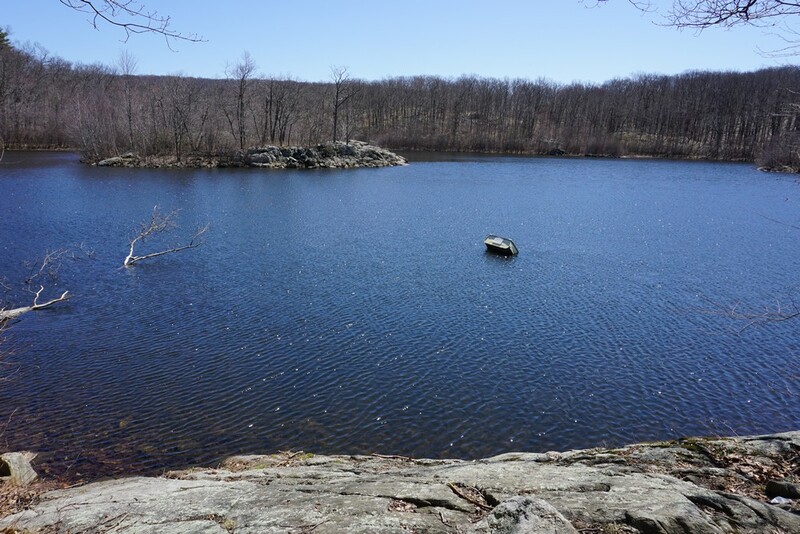 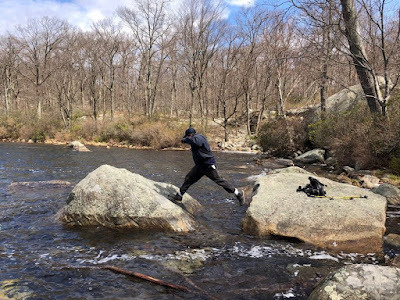 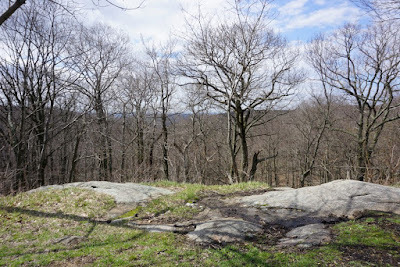 We walked southbound along Route 202 for about 400 feet, and then headed into to the woods at this point where Harriman State Park connects to Route 202. 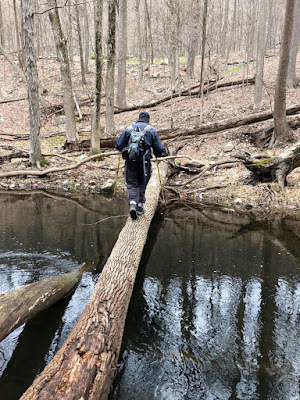 We walked down to the river, crossing it along a narrow log. 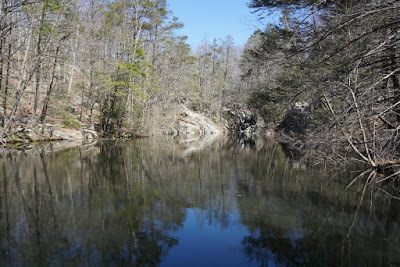 As the river was very swollen from recent rains, crossing was much more difficult than usual. 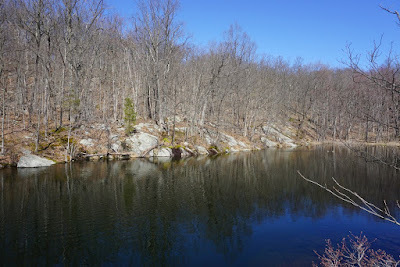 We then went along the path on the side of the river, crossing the gas and power lines. 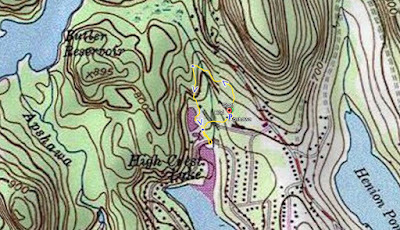 The path turns into the Sherwood Path, and climbs in a snake-like pattern up the mountain. 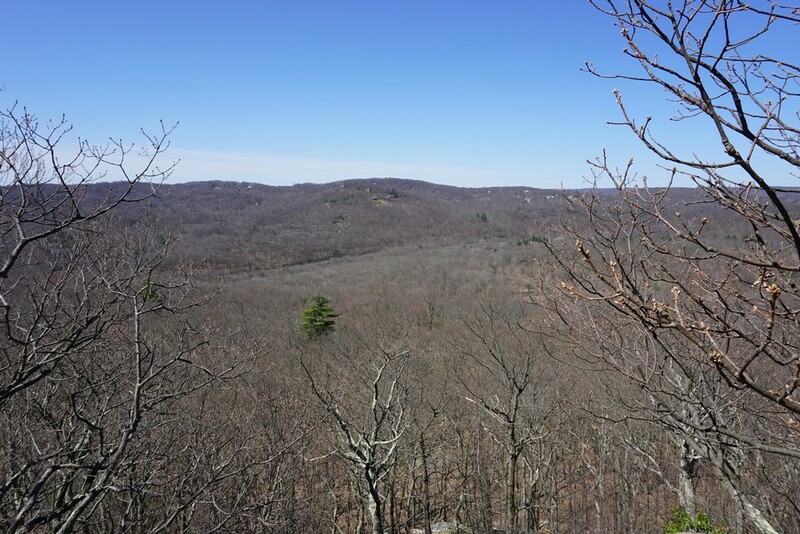 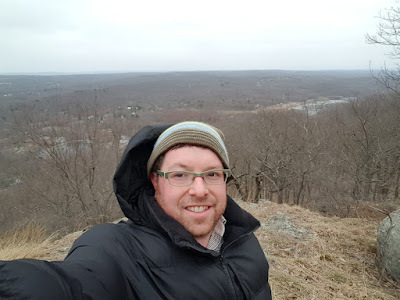 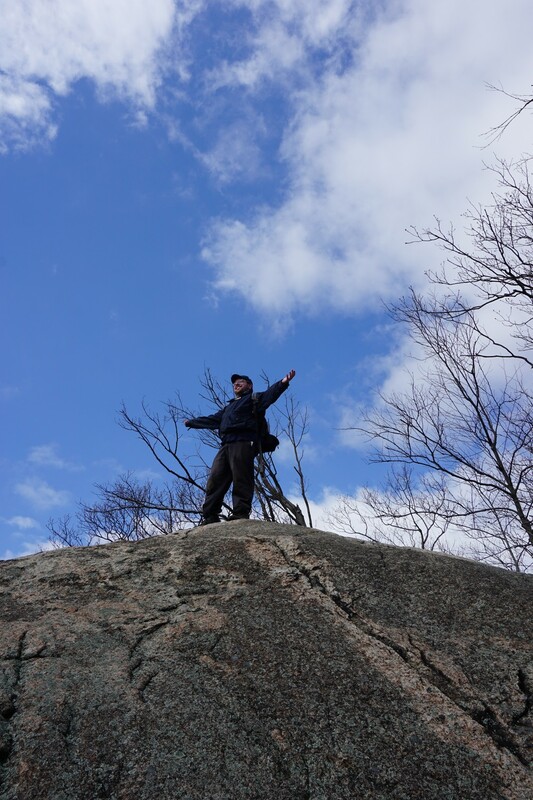 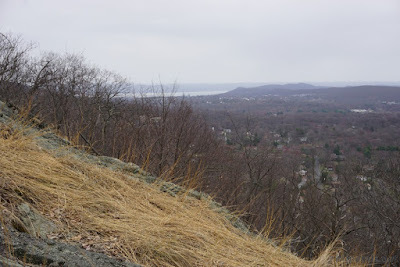 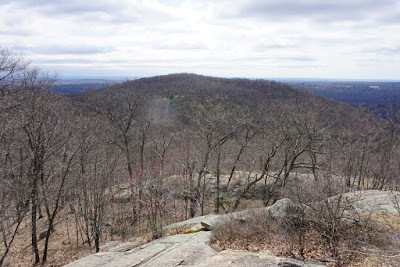 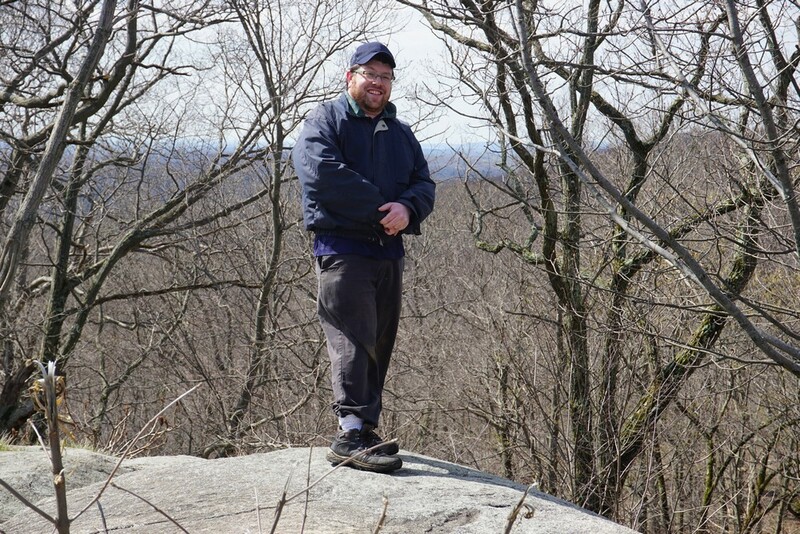 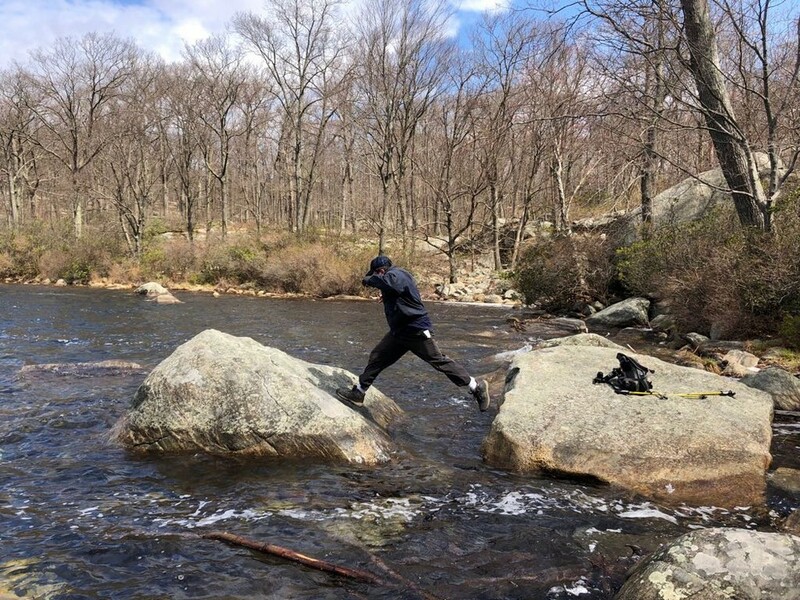 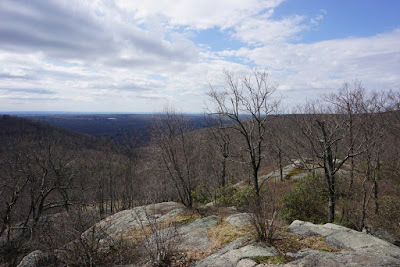 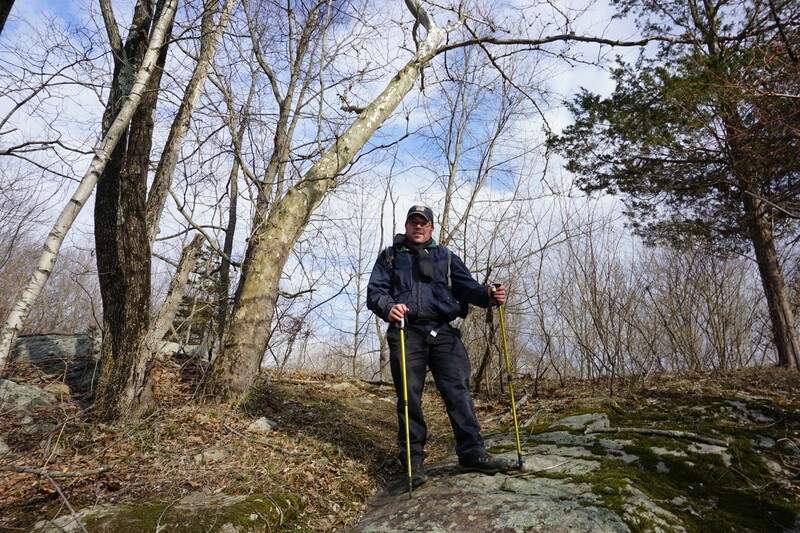 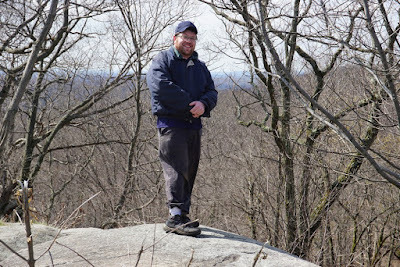 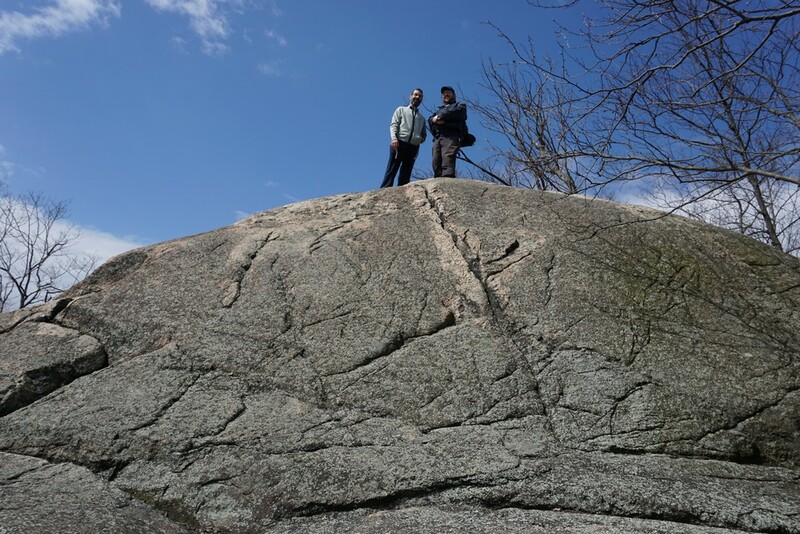 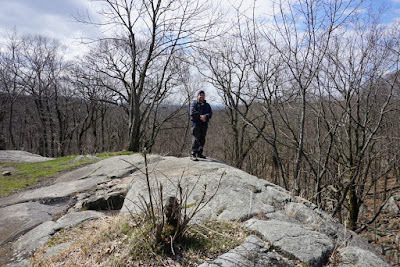 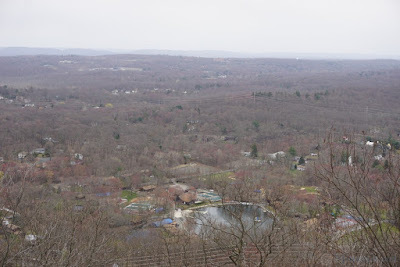 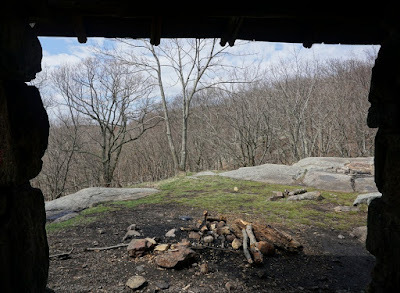 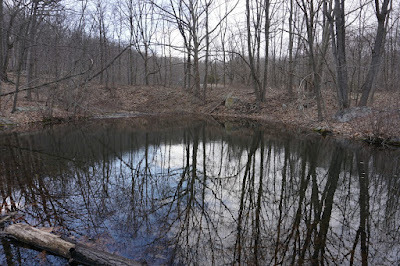 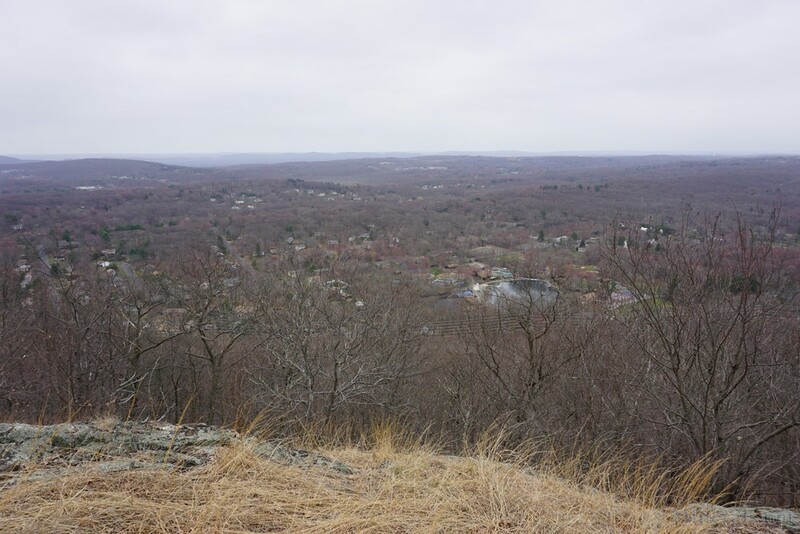 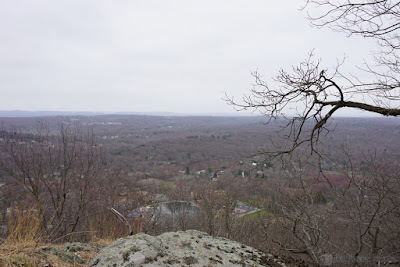 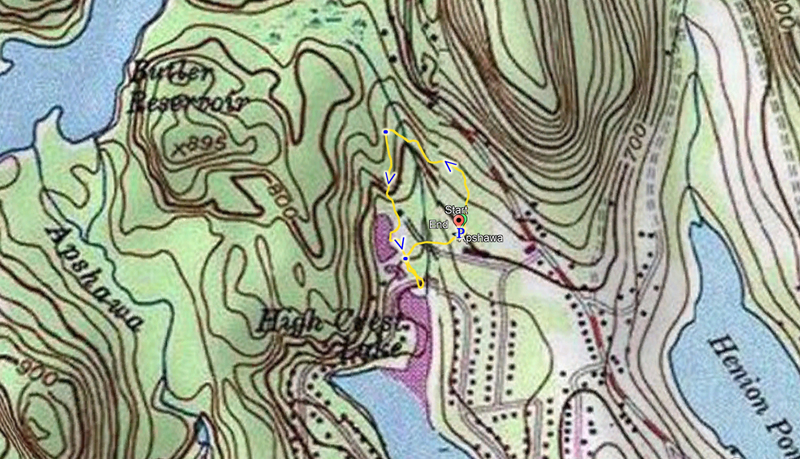 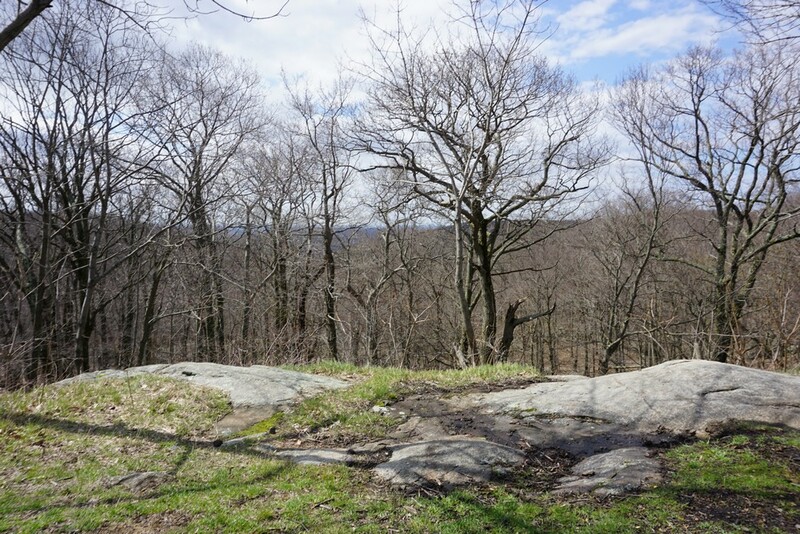 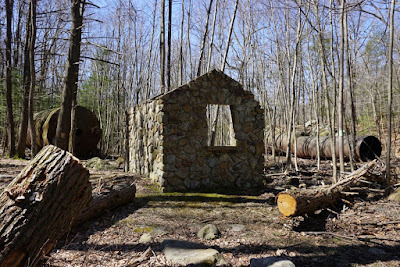 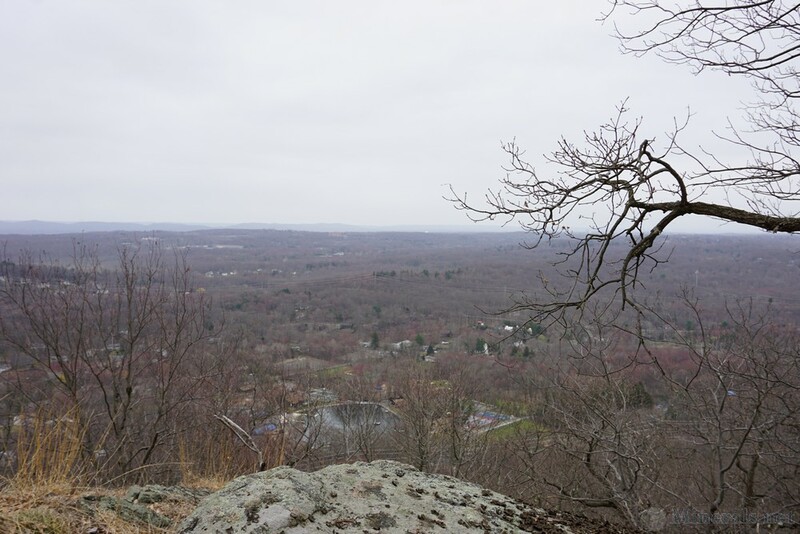 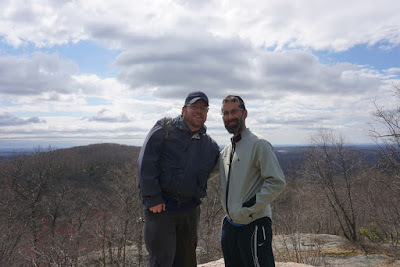 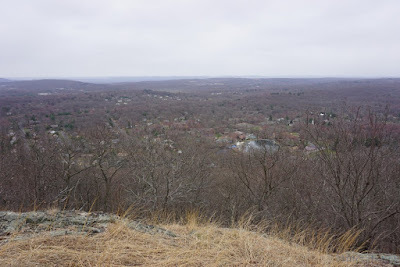 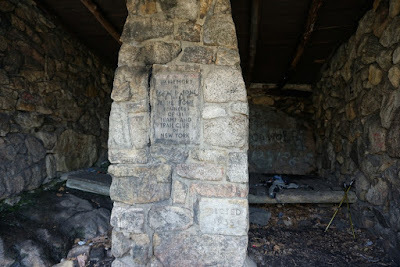 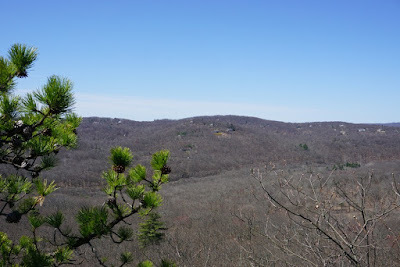 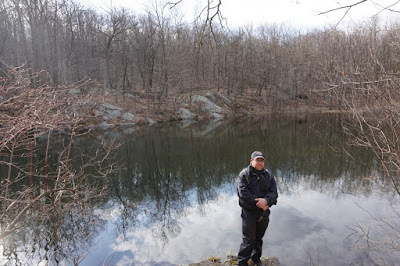 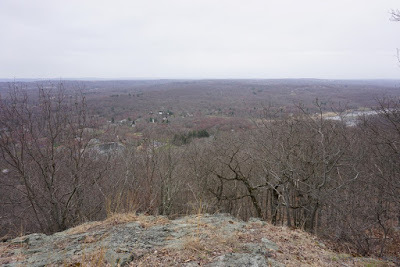 Upon reaching the Stone Mountain Shelter, we turned southwest on to the Suffern-Bear Mountain Trail, towards a rock formation called the "Egg." 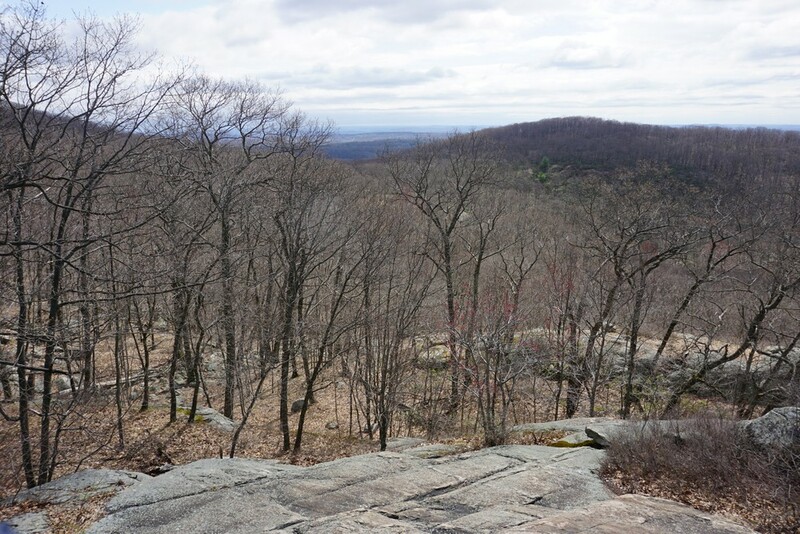 The Egg is large oval rock with a rounded top (hence its name), which also affords a very nice view. 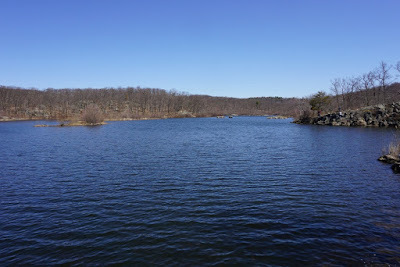 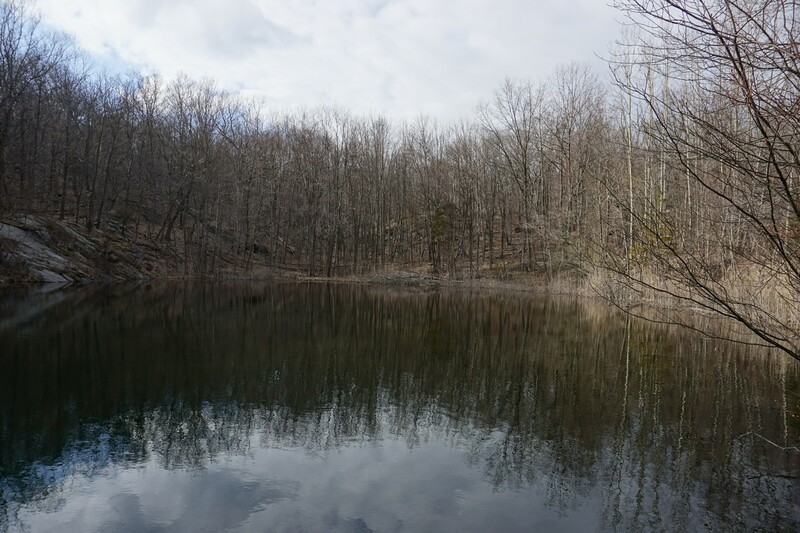 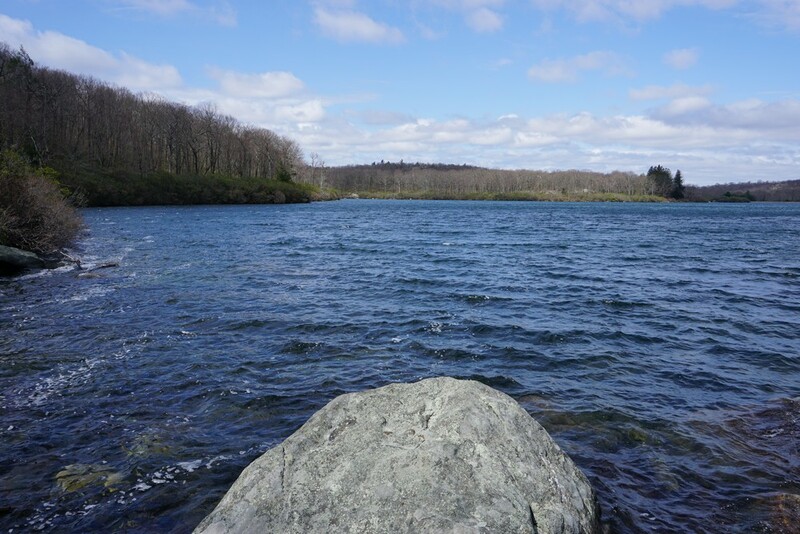 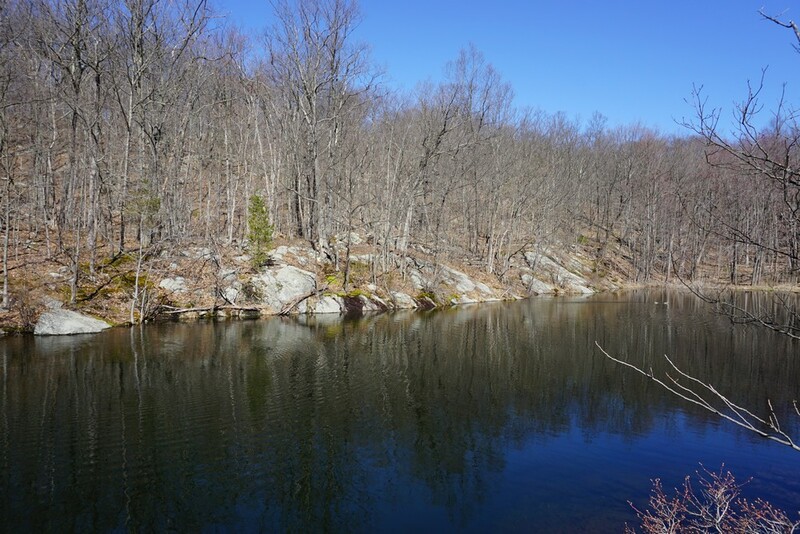 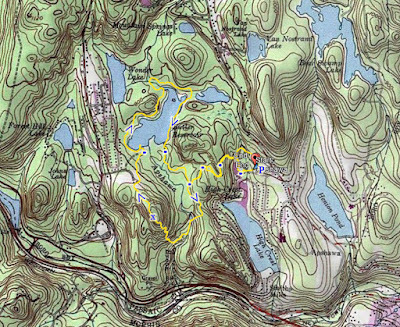 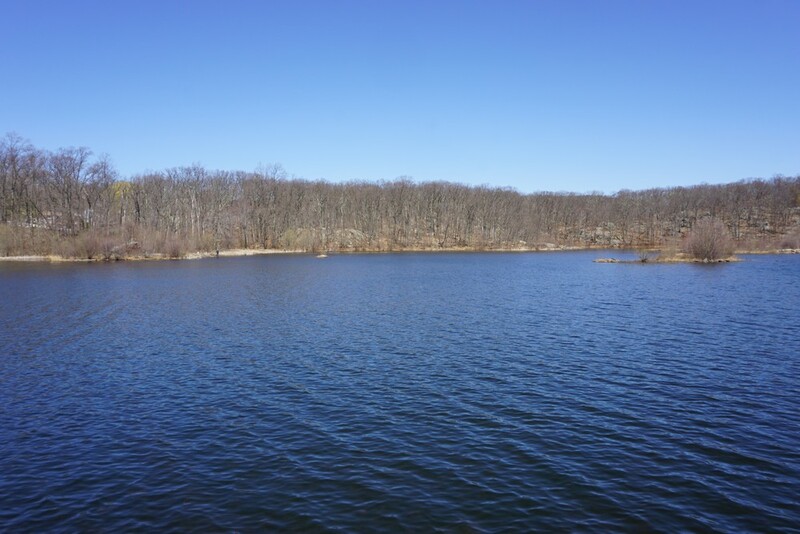 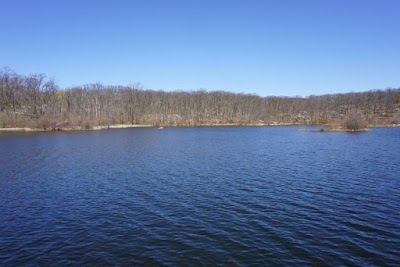 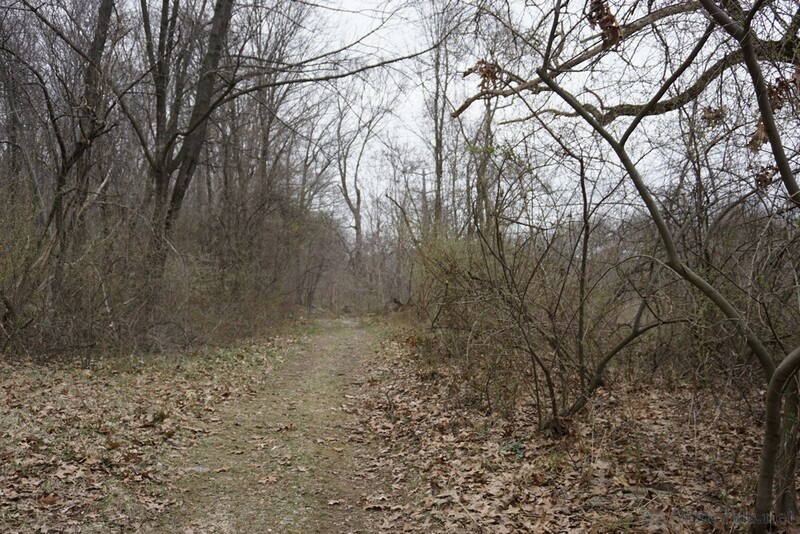 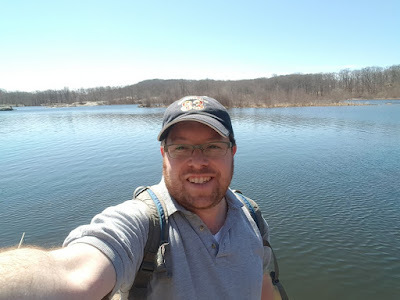 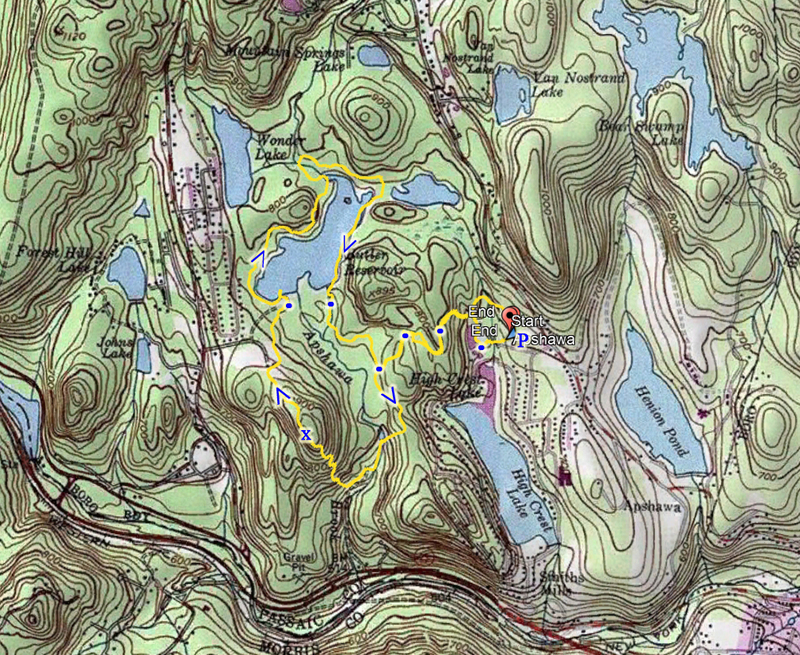 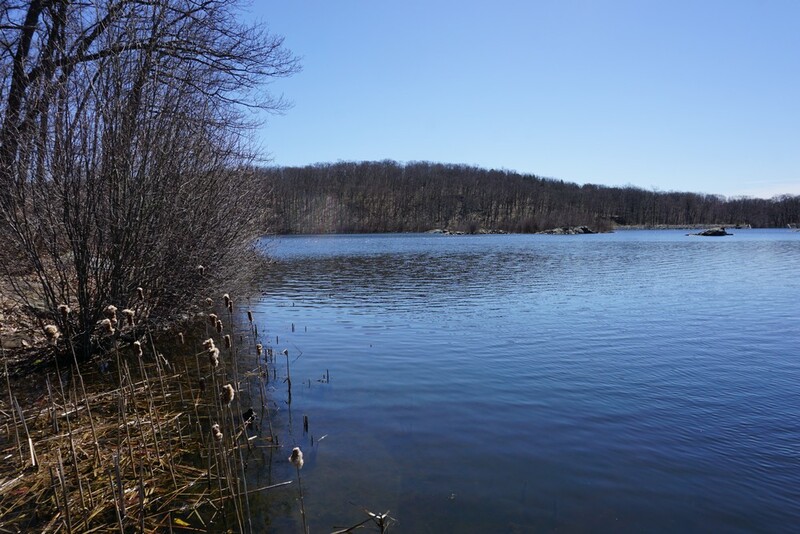 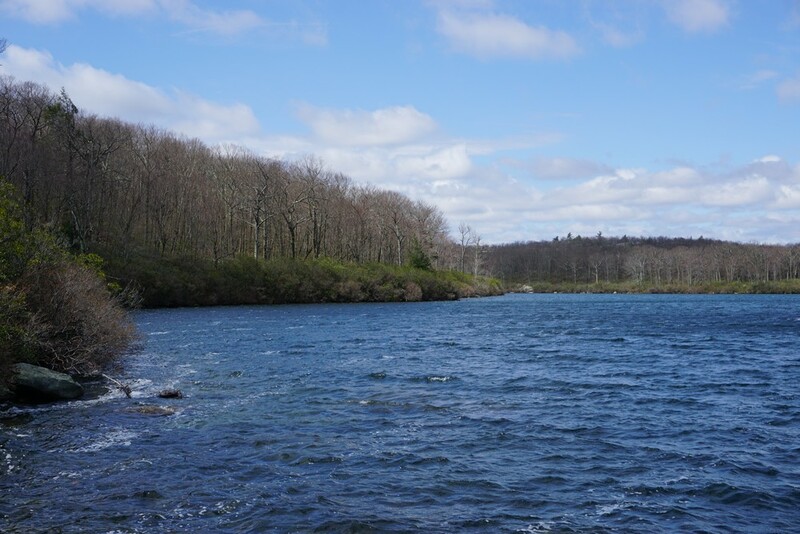 We then continued along the S-BM Trail, to the Conklin's Crossing Trail, taking this short trail in its entirety to eastern edge of Pine Meadow Lake. 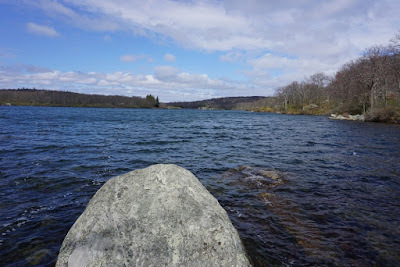 We bushwacked down to the lake where there are some large rocks in the lake, took some photos, and continuned to the Pine Meadow Trail. 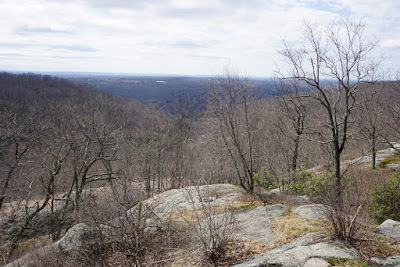 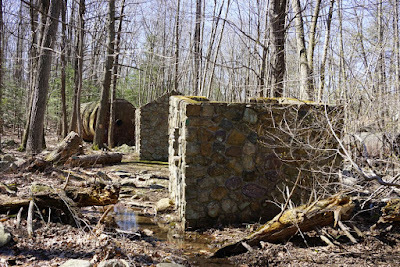 We took the Pine Meadow Trail back to the Sherwood Path, which we took back down the mountain, and then took the path along the gas line back to the Pine Meadow Trail near the horse stables. 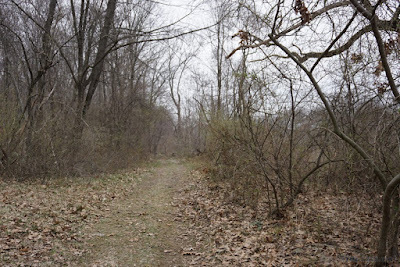 We went down the Pine Meadow Trail to its terminus, walked through the equestrian area and parking area, and along Route for a short while back to our car. 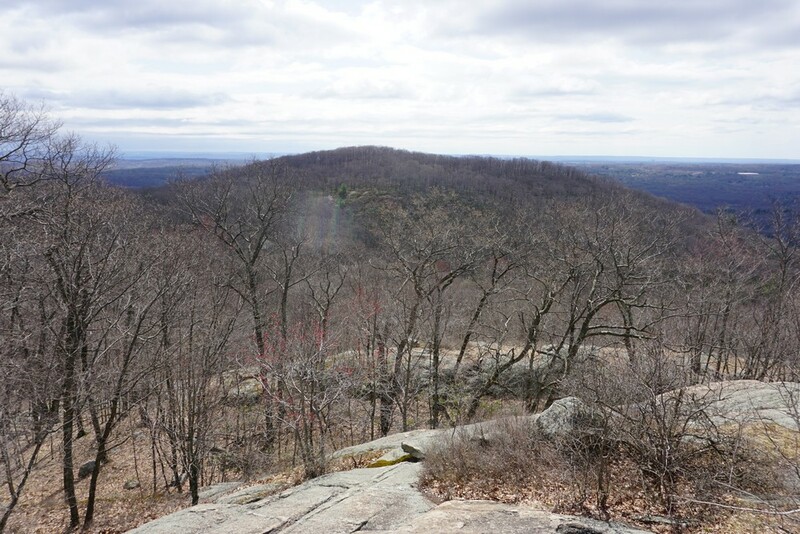 I had little time, and this is a great hike with an excellent view in under an hour. The weather was exceptionally cold for mid-April, and I needed my coat and winter hat. 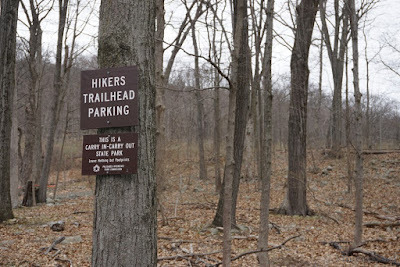 I parked at the TMI Trailhead, on Diltzes Road, and took the trail past the Power Lines and through the notch in the Ramapo Escarpment. 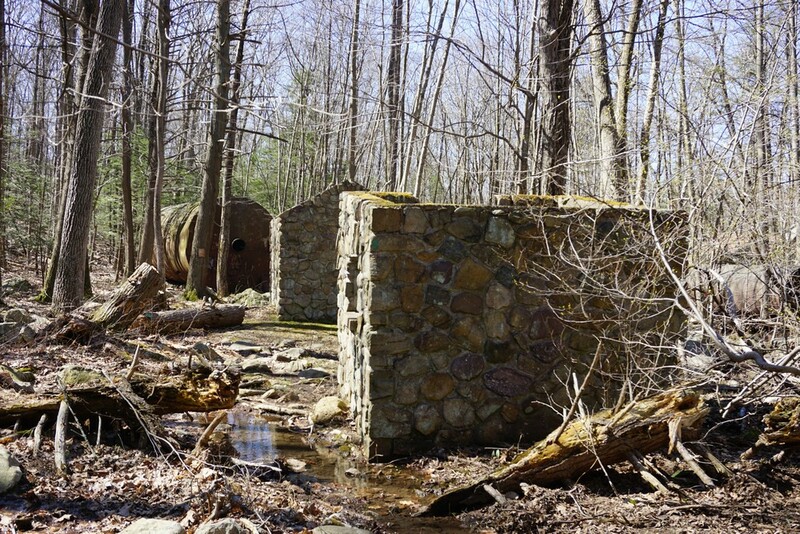 I then continued along the formed route of the TMI Trail as the trail headed up the mountain to the south, alongside the brook. 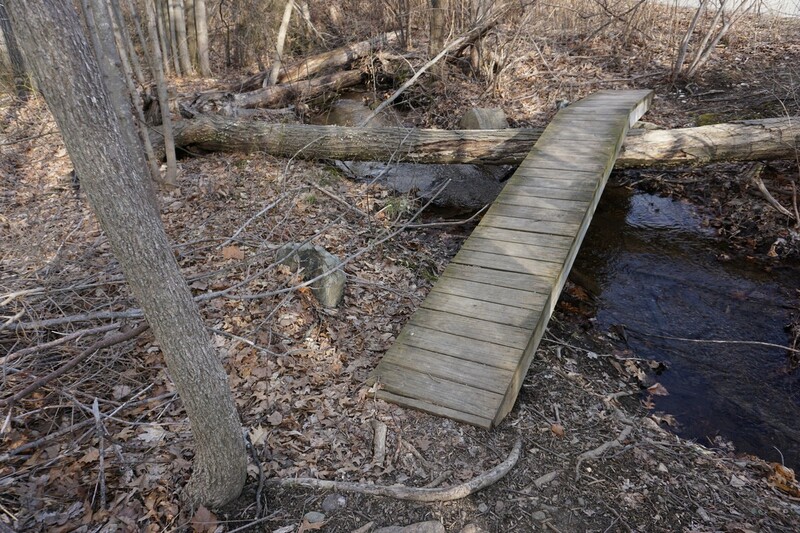 This former trail route has become overgrown with fallen trees and I found it to be more difficult, perhaps because of the recent storms that downed trees and branches. 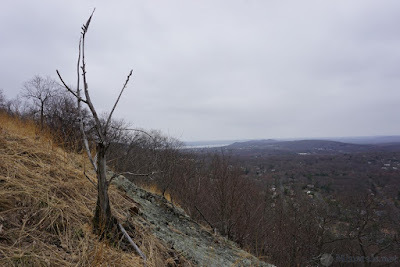 Where the path bends further south, I did a bushwack up the northern part of the notch, bending over to the Limekiln Mountain Trail and meeting up with it right before the vista. 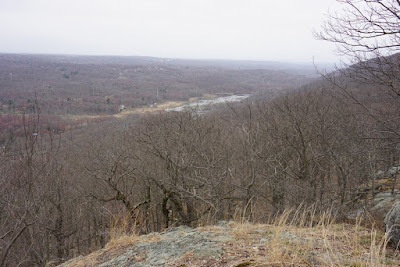 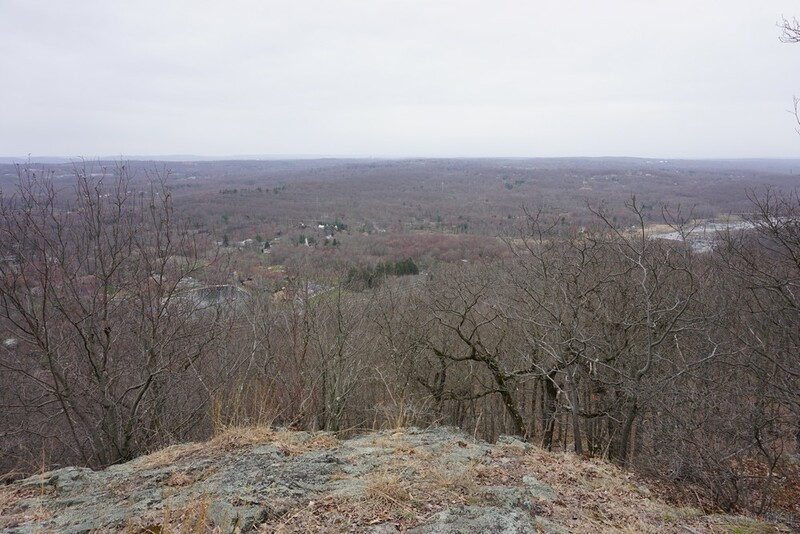 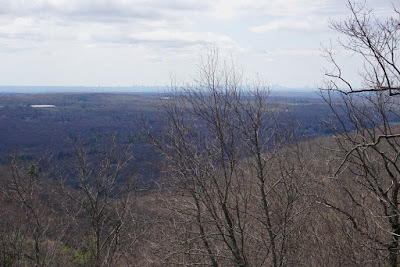 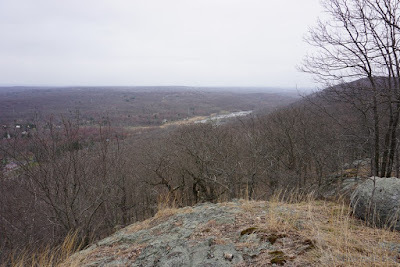 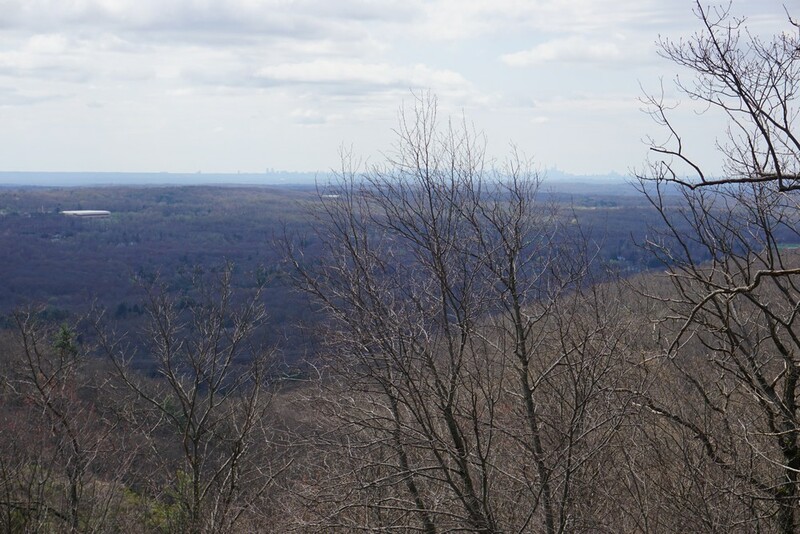 The vista at Limekiln is excellent; it faces south with much of Rockland County in view. 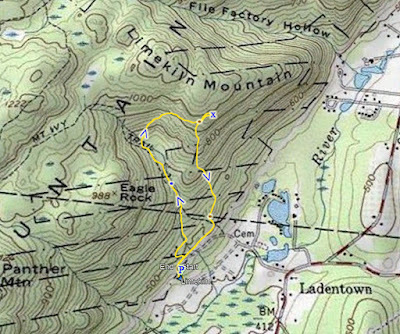 I then took the unblazed but clearly recognizable Limeklin Mountain Trail down the mountain, back to the TMI Trail and back to my car.